know the night they are taken, so we may delete them from the camera. Should I Ask Him? Should I Ask Her? 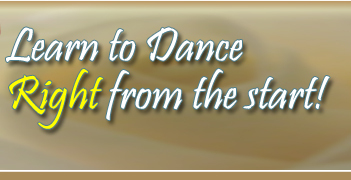 The only way to get out on the floor at a ballroom dance is to ask someone to dance, or for them to ask you. If you have a regular partner, this part of dancing is easy. However, if you are alone, you may find it difficult at first to ask other people to dance. Many years ago, it was expected that men would always ask women to dance and not the other way around. However, things have changed. At modern ballroom dances, men and women freely ask each other to dance—and it is also not uncommon for couples who arrive together to dance with other people as well as each other. If you do not know who to ask for a dance, or you are feeling shy and want to wait for someone to ask you, stand near the dance floor and look relaxed and happy, like you want to dance. Sitting in a corner and looking sulky is no way to get asked to dance. If you are brave enough to ask someone, all you have to do is walk up to them and say, "Hi, would you like to dance?" It is considered bad dance etiquette to decline an invitation to dance. A song only lasts for around three minutes, so unless the person asking you is somehow painful or upsetting to dance with, you should accept—or avoid them subtly before they approach you so you do not to hurt their feelings. Declining invitations from beginners simply because they are boring to dance with is not very nice, everyone has to start somewhere, and later on they may become a very desirable partner. We now host dance parties twice a month on Sunday's from 7:00pm -10:00pm at our studio. All Dances include a FREE Lesson from 7-7:30pm. 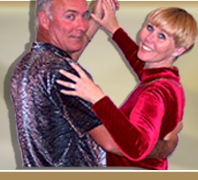 DANCES ARE OPEN TO ADULTS OF ALL AGES! - ALL DANCERS! These are Non Smoking / Non Alcohol Events. Win FREE dance tickets here! You may also signup for future group classes at the dances. Try out your new moves in a relaxed atmosphere with your teachers on-hand ready to assist you. 2) You do not need to sign up in advance, just show up and enjoy! 3) Meet friends and potential partners. 4) Dances allow you to practice what you learned in your private or group lessons. 5) Dancing in public will make you more comfortable later when you want to dance at a holiday party, or other special event. 6) Public dances give you exposure to a wide variety of music and dance styles. 7) Dances are a great venue to develop your floorcraft (your ability to navigate a crowded floor). 8) A 150 pound person burns 918 calories ballroom dancing for 3 hours. 9) You don't have to drive all the way to Sacramento, use all that gas and deal with the traffic!!! 10) It's Good for your Body! At the door. CASH ONLY - NO CHECKS or CREDIT CARDS. Thank You. *Prices for Special Events Will Vary. Call for Advance ticket sales, and questions.